The largest global sports media property in Asian history, ONE Championship™ (ONE), has just announced an official partnership with Fullerton Markets, Asia’s fastest-growing brokerage firm. The partnership will cover official markets Singapore, Thailand, and Vietnam through March 2020. Fullerton Markets joins well-known brands in ONE Championship’s roster of sponsors, that includes Facebook, Sony, LG, Marvel, Disney and Casio. Fullerton Markets is Asia’s fastest-growing brokerage firm with a bevy of high-profile clients in its portfolio. The company was founded in 2016 by Mario Singh, who today serves as the company’s Chief Executive Officer. 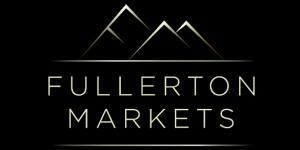 Fullerton Markets provides clients with online brokerage services for foreign exchange, metals, crude oil, and indices. With headquarters in Saint Vincent and the Grenadines, Fullerton Markets is committed to providing its clients the highest level of brokerage services. The strong alignment of the two organisations’ values is set to bring meaningful content to the fore, to be shared with martial arts followers and new fans alike, through Fullerton Markets’ online and offline platforms.